At The Schutzer Group, PLLC., our clients come first. Every client is treated with courtesy and is guaranteed effective representation. Our expertise and integrity have earned us a reputation as one of New York’s premier debt collection law firms. Our consistent track record of industry leading recovery rates and uncompromising ethics instills confidence and trust. We use cutting edge technologies that allow us to respond quickly, and give you the most relevant information and perspectives. 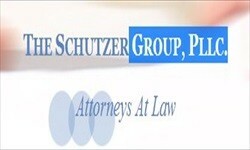 The Schutzer Group, PLLC is dedicated to achieving the best outcome for every client. With The Schutzer Group, PLLC on your side, you will come out ahead. Our approach is persistence and insistence, while always maintaining a high level of professionalism. Although our recovery rate is amongst the highest in the industry, in addition to securing money for our clients, our goal is also to ensure our client’s reputations are protected, adversarial claims and actions are avoided and on-going client relationships are salvaged. Rather than blindly litigating those matters that can not be resolved through our firm’s preliminary efforts, we utilize the latest technologies to skip trace and locate debtor’s assets, employment history and outstanding judgments and make an informed recommendation to our client if pursuing legal action is advisable.